The results show very high levels of satisfaction in the work of the practice. 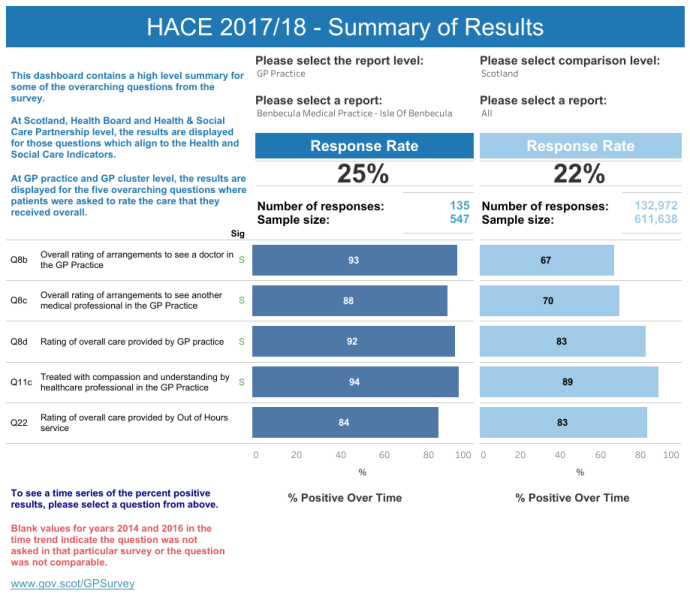 We discuss the results as a team, and a number of very useful comments that were sent in will be followed up to improve our services further. This year, we are going to focus on how we involve carers in planning care for patients.